sorry my question should have went to thecurti ...can you tell me what size and make your tires are and what size wheels they are on? Thanks ...they look like they will do well in mud ...good looking setup. Boy that's slick! I love that lightbar setup! I have the same basket...guess I need to get to ordering. What kind of seats are those? 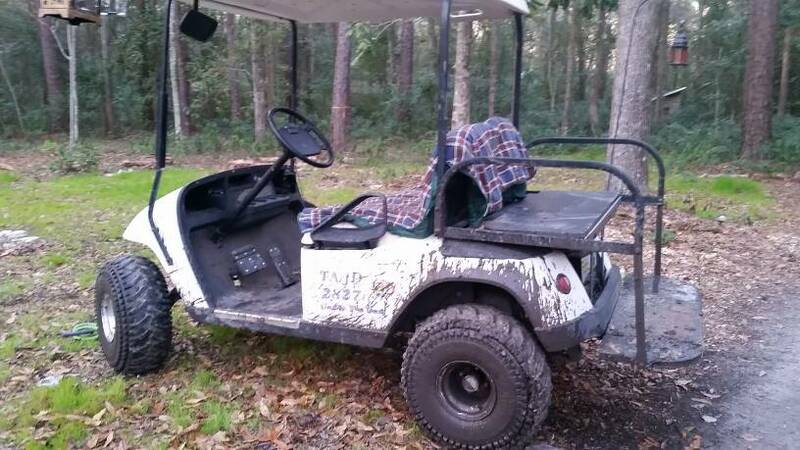 I am new to the site (thanks to all for the great information) and a new cart owner as well. Just over a week ago I picked up two EzGo txt carts, both of them had been sitting for several years, and both of them needed work. 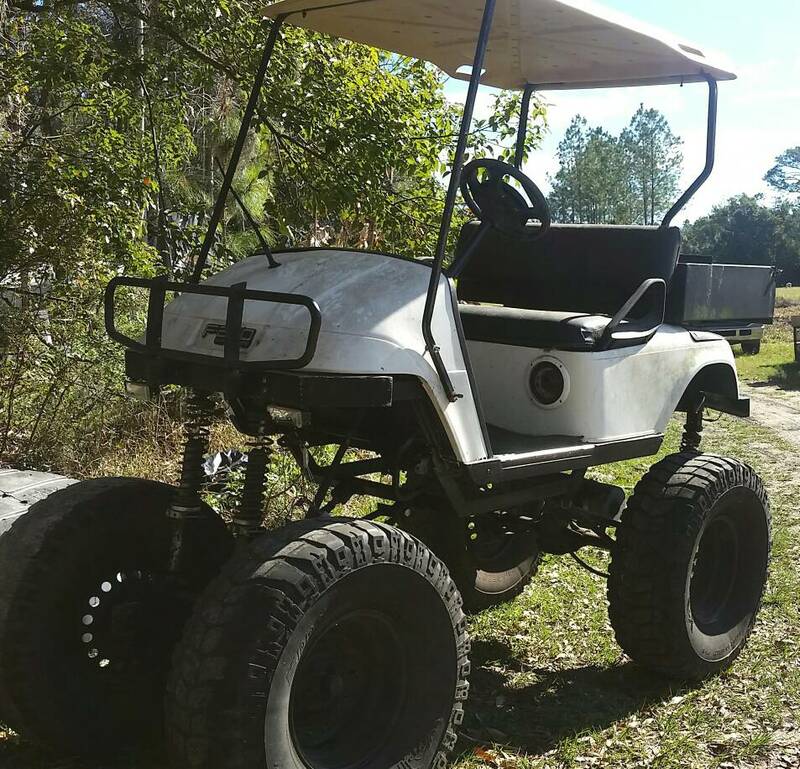 I've since gotten the "smaller cart" up and running well, and I am beginning to rebuild the monster cart now. 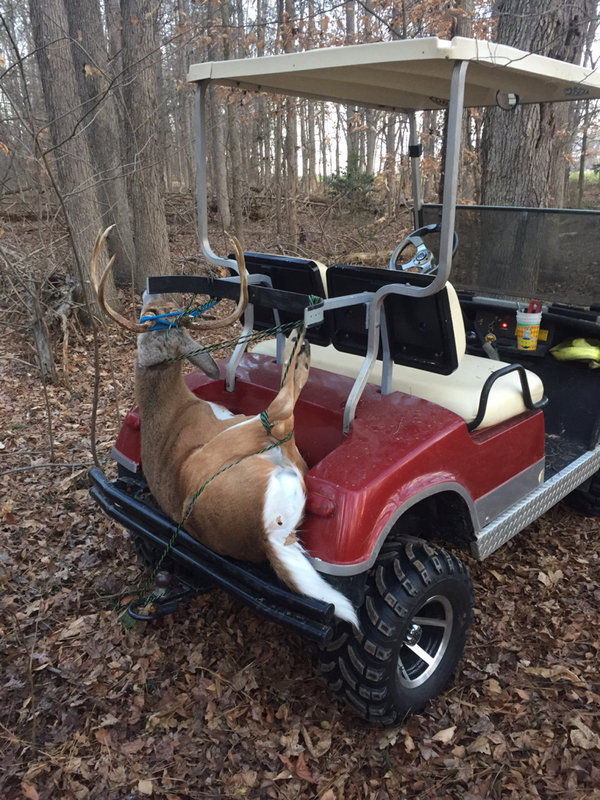 Here are a couple pictures of them both, and a final picture of the running cart after a little run through the woods yesterday.